Cabinet refacing is an economical option if you’re looking to improve the look and functionality of your kitchen. In today’s tough economy, the high costs of home improvements may make kitchen renovation seem out of your reach, but cabinet resurfacing can offer you a faster and more affordable alternative to a full-scale kitchen renovation. If you live in Indianapolis, Muncie, Kokomo, or a surrounding community, turn to the professionals at L.J. 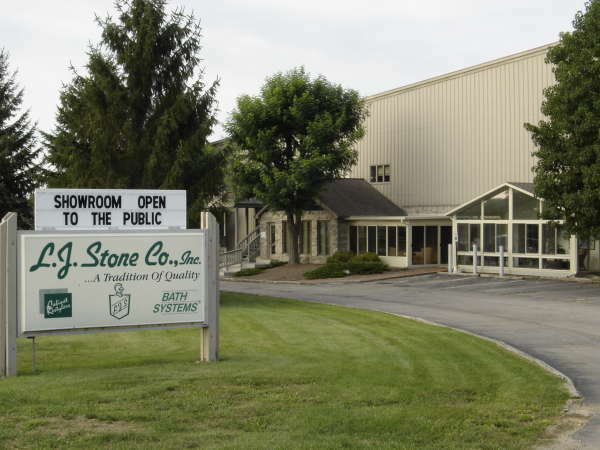 Stone Company, Inc. for superior products and expert installation. A traditional cabinet replacement job can easily cost $20,000 or more and take weeks to complete. However, L.J. Stone’s cabinet refacing process costs significantly less and can be completed in a shorter period of time. Our process involves removing tired and worn door fronts, drawer fronts, and hardware, while keeping the structure, or “bones,” of the original cabinets. Our factory-trained installers and carpenters then clean the existing structure, and install stylish cabinet doors, hardware, and your choice of cabinet features, such as Lazy Susans, microwave shelving, cookie sheet racks, and more. We can even complement a cabinet refacing project by updating old countertops and sinks with attractive replacement options. 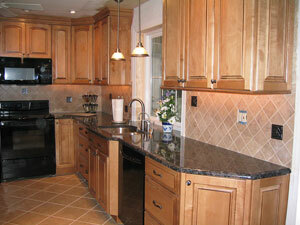 As one of the greater Indianapolis area’s most respected cabinet refacing companies, L.J. Stone has helped many homeowners create the kitchen of their dreams without spending a fortune. Since 1967, we have been the trusted choice for a variety of additional home improvement projects, including gutter protector and sun room installation. We also offer a wide selection of new windows and can provide efficient and cost-effective bathroom remodeling services. Contact L.J. Stone to learn more about our cabinet refacing and other home improvement services. We proudly serve homeowners in Anderson, Marion, New Castle, Richmond, Greenfield, Greenwood, Hartford City, and other communities throughout Central Indiana.